With the Premier League title race continuing to heat up, Liverpool boss Jurgen Klopp has been handed some great news on the injury front. The Reds continue to lead the way in the table, but that lead has now been cut to just a point by reigning champions Manchester City. 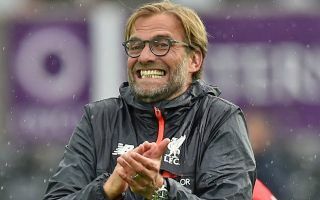 Coupled with their Champions League commitments, the Merseyside giants will be desperate to have as close to a fully fit squad as possible at Klopp’s disposal in the coming months to ensure that they can compete on both fronts. With that in mind, they’ve been handed a major boost as the Mirror report that the German tactician confirmed Joe Gomez will be back in March, while Dejan Lovren could be back in contention this weekend to face Everton. Further, Alex Oxlade-Chamberlain is edging ever closer to a comeback from his serious knee injury that he suffered last season, and so that will be three major boosts for Liverpool to offer them quality and depth in defence and midfield. Klopp has seen his side stumble in recent weeks, as they’ve been held to draws by Leicester City, West Ham United and Manchester United in three of their last four Premier League games. In turn, while it will help them tighten things up at the back in getting the players mentioned above back, they’ll certainly still need more from their attacking stars moving forward to rediscover their ruthless touch in front of goal to fire them towards the title.